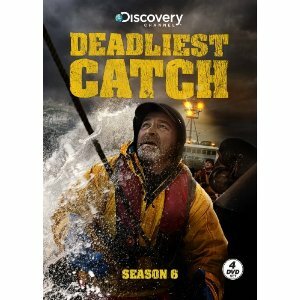 Hot off the heels of the unprecedented 10th Anniversary of The Deadliest Catch – The bad boys of the Bering Sea are coming to the Keswick for a rare and exclusive area appearance. 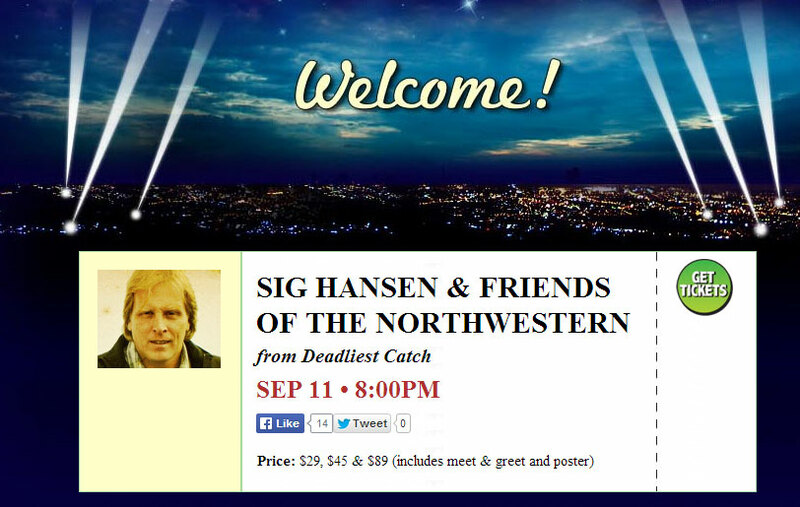 Sig Hansen has seen it all – he’s witnessed the lives of friends and crew permanently altered in a split second. He’s weathered storms and broken up fights and he’s come close to sinking his boat. Experience being in his presence as he describes his treacherous livelihood. 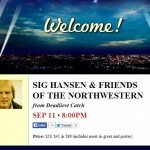 Please note there is an 8 ticket limit for all of our events unless otherwise noted. For groups more than 8, please contact our Group Sales Department at 215-572-7650. Persons under 16 must be accompanied by a parent, guardian or approved chaperone.